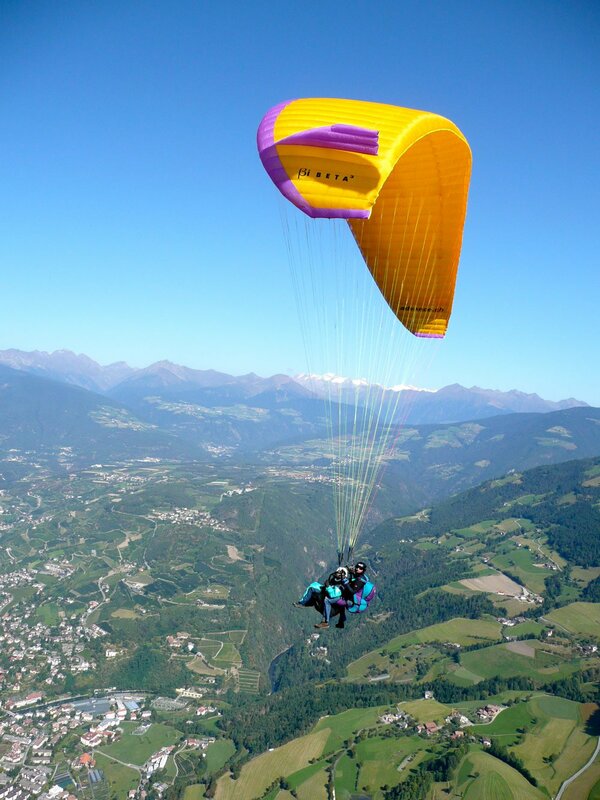 A tandem flight from the local mountain of Bressanone – the Plose – begins with the ascent to the launch site at an altitude of around 2,050 meters. You will travel by cable car, and during the trip to the mountain station you will receive information about the features of a tandem flight. 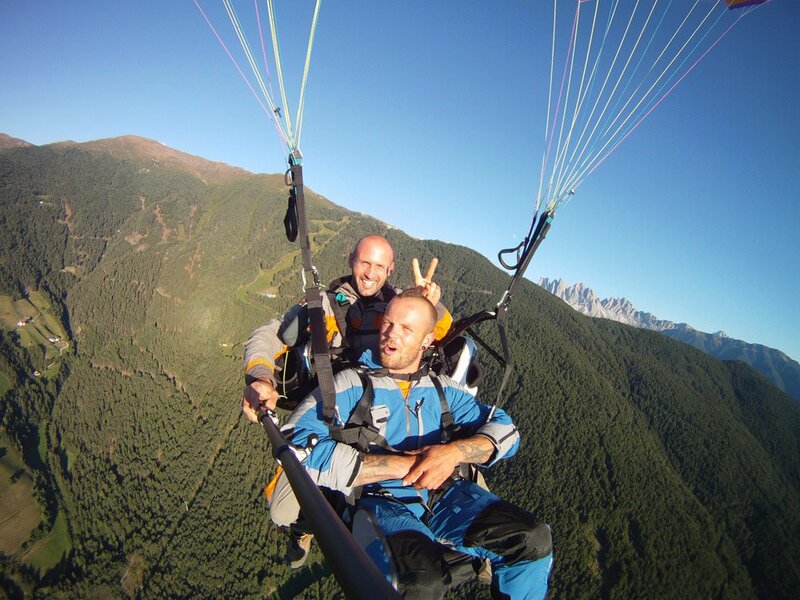 The trained paraglider pilot will explain, among other things, the differences between a parachute jump from a plane and a tandem flight with a paraglider. Before the take-off, you will receive an on-site briefing explaining flight procedures and the seat is adjusted to your body size. After the seat try-out and the straps check, the pilot waits for the right updraft. 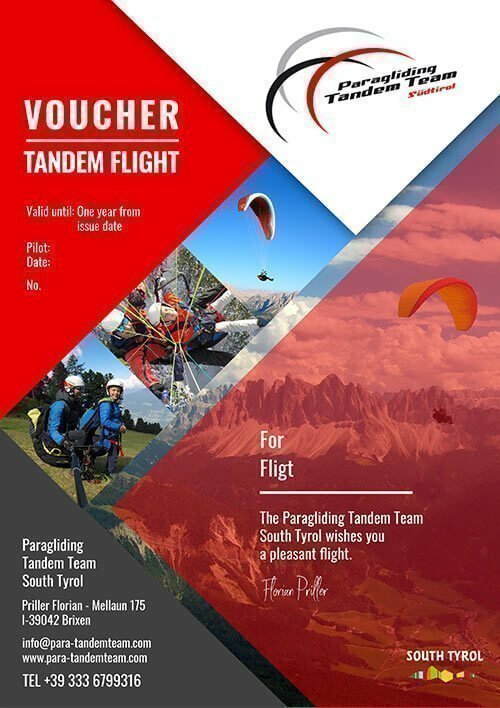 The launch of a tandem flight takes place on a steep hillside, after a few steps that you will perform together with the pilot. Once the wind has been caught in the glider, you will lift off the ground and move into the flight phase. 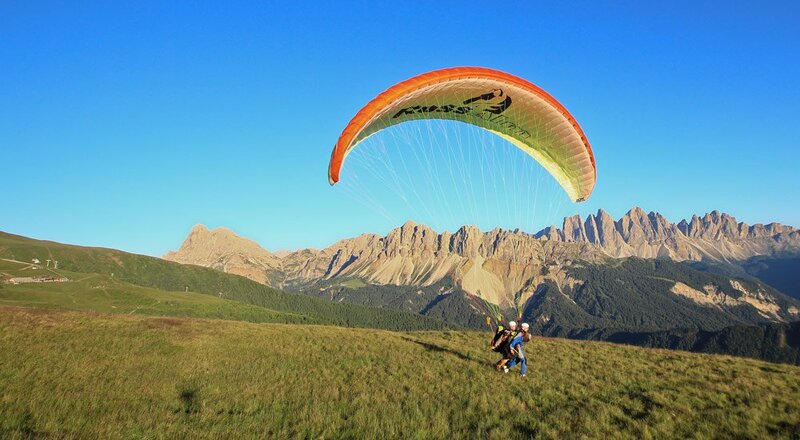 A flight with a paraglider is made possible by the updrafts in the mountains, caused by the action of solar radiation (thermal). During the flight phase, the pilot will fly in circles, always looking for favourable thermals, guaranteeing a continuing flight experience. With the support of the updrafts, the flight phase can be drawn out. Under certain circumstances, in calm air conditions, it might be possible to take pictures. Before the landing, the glider pilot will briefly explain the procedure. As a general rule, during the landing phase you will move slightly forward in your seat and get ready to run. Before the touch-down, the glider pilot will slow down, and once you feel the ground under your feet, you will start running. 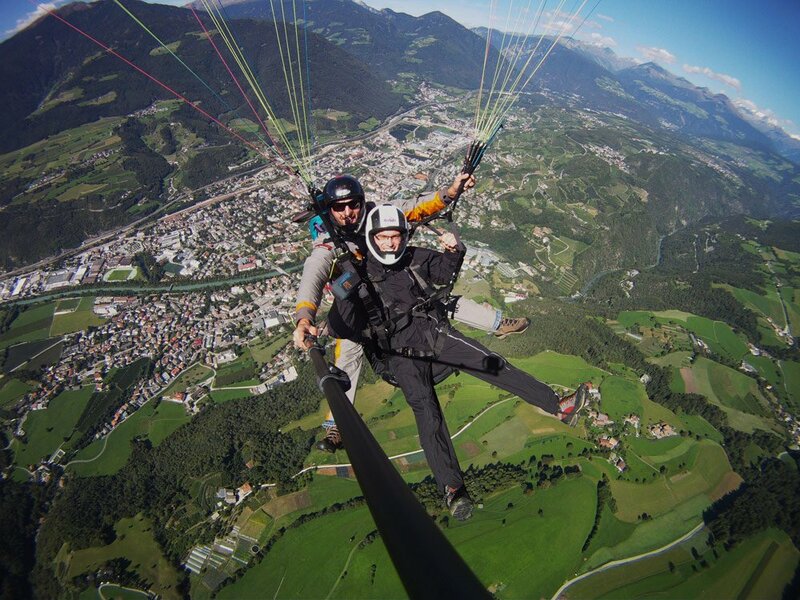 A few meters behind you, the glider will drop to the ground and you have landed safely.